You're one dress away from feeling like you're in Paris. 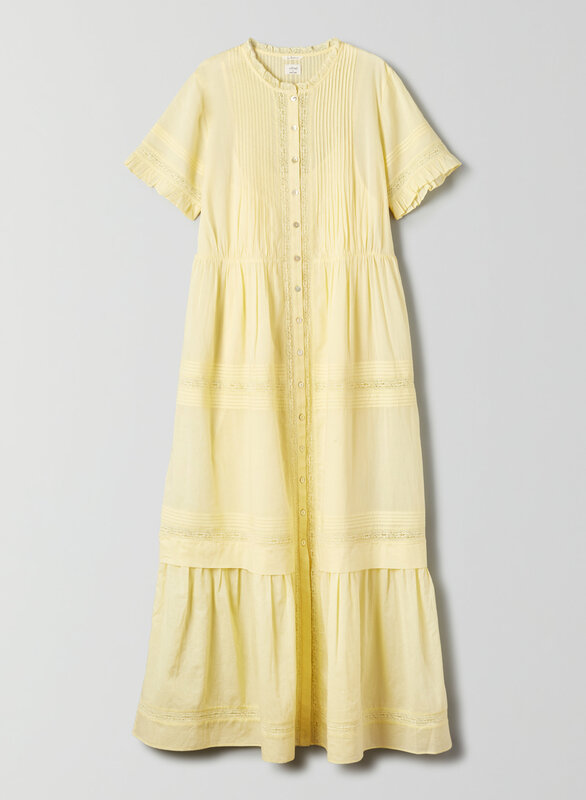 This is a maxi dress with a tiered A-line skirt, lace inserts, and ruffled sleeves. It's made with a lightweight, semi-sheer, 100% cotton fabric.